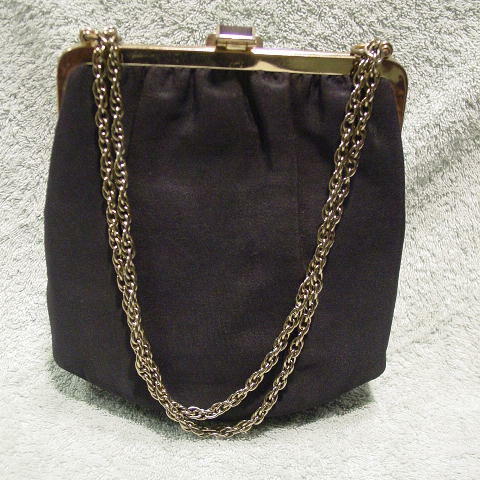 This vintage black thick peau de soie-blend evening purse has a gold-tone multi-link chain shoulder strap which can be made into a double handle. It has a nice creamy-pale yellow (probably acetate) lining. 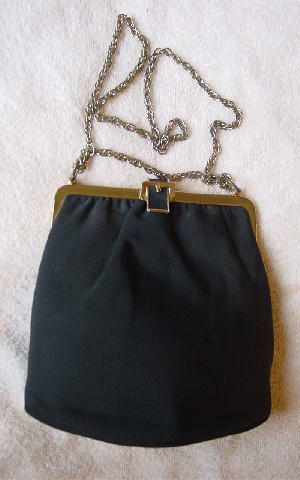 There is a gold-tone metal rim and a fabric and metal closure in the shape of a belt buckle. The lower front corner and upward 3" high by 3/4" wide along the side has a bit of a light rust hue to it - as if it sat in the sun for a while. There is a slight horizontal wrinkle across the bottom front. 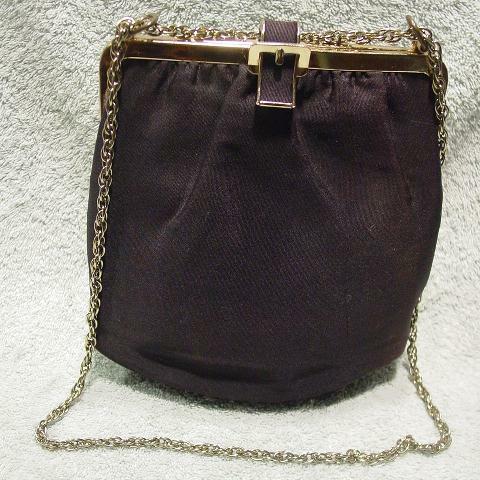 She used this as her evening purse for 2 seasons while modeling in Paris.